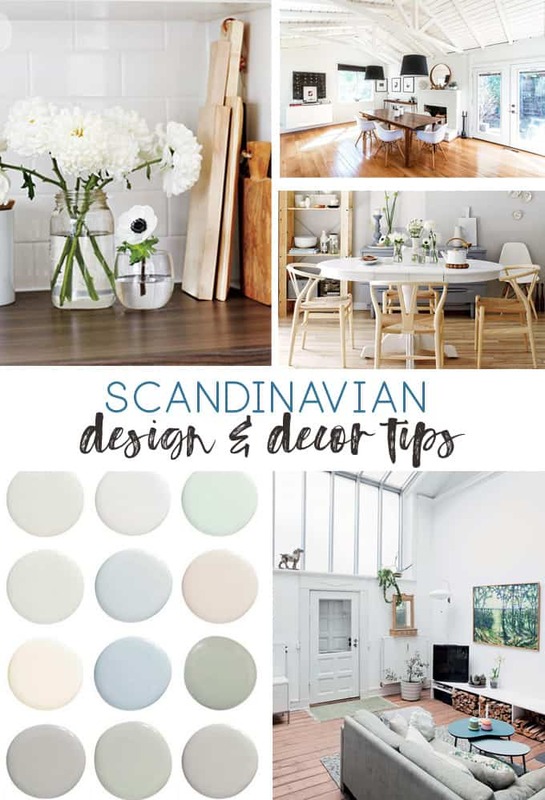 Sharing some of my favorite Scandinavian design tips, tricks and spaces to get that clean, modern, and natural look for your own home! Enjoy browsing these cozy and minimalist spaces! Scandinavian design has enjoyed a recent increase in popularity as of late, due, in large part, to it’s focus on functionality and minimalism. 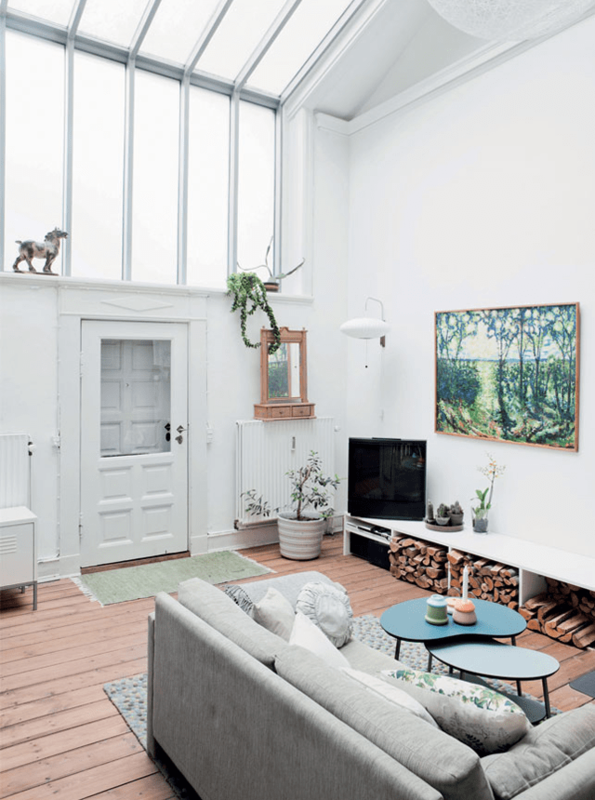 Scandinavian design incorporates lots of natural elements, milky, neutral colors, coziness, and clean, natural lines. Scandinavian design doesn’t have to be expensive. IKEA is a great place for shop for inexpensive home decor items, and because of the focus on natural textures, this is a great way to bring the outdoors in. Find branches, leaves, nuts, to fill vases and other containers. Perfect for those on a budget! Today, I’m sharing some of my favorite, inspiring spaces that utilize the elements of Scandinavian design! Take a look, and see if there’s something you can incorporate into your own home. While Scandinavian style focuses on mainly neutral colors, you can often find a pop of bold color (usually a blue! ), like in the gorgeous space above. 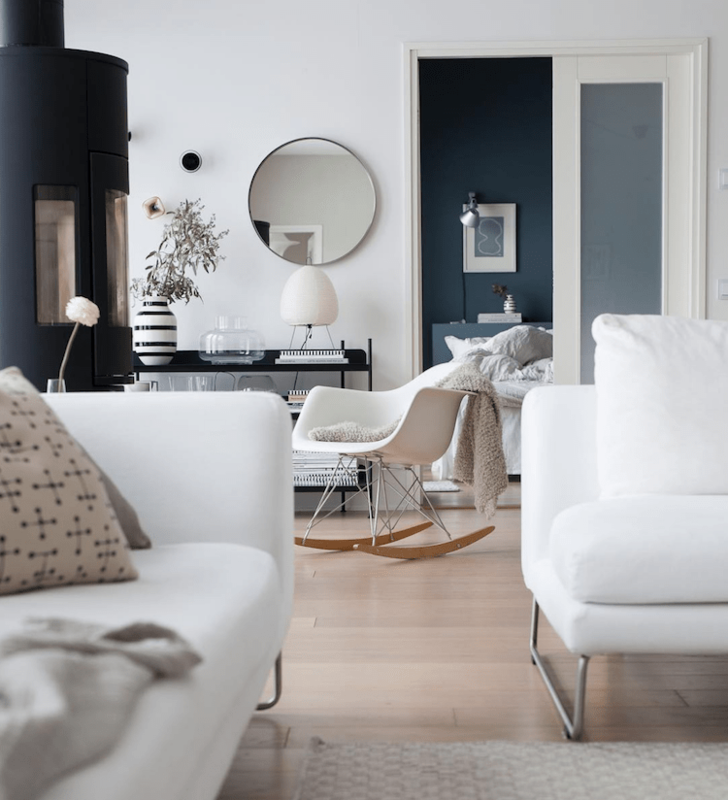 Looking to add some Scandinavian-style color to your own home? 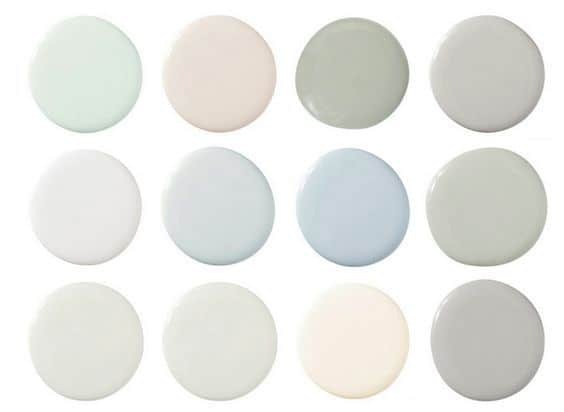 Look no further than these lovely, milky shades of white, gray, green and blue. These Swedish paint colors are soothing, low-key, and perfect for any and all areas of your home. Scandinavian style often utilizes the use of wood tones within their spaces to add softness, texture and warmth. 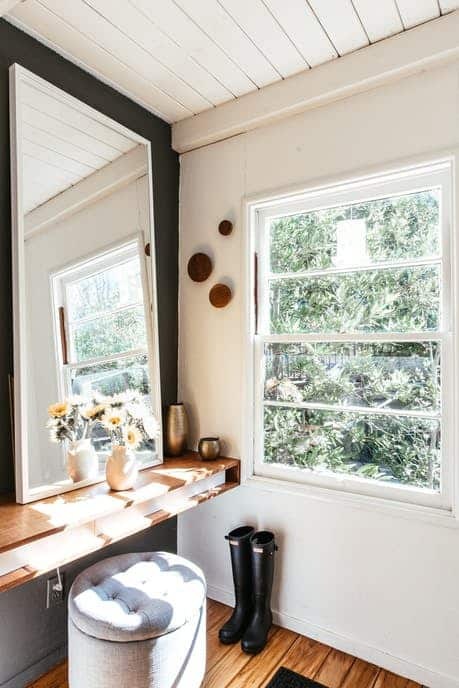 I am always drawn to how charming and, especially, cozy and comfortable these home seem. Who wouldn’t want to curl up in the above space with a favorite book, pet, and hot beverage? 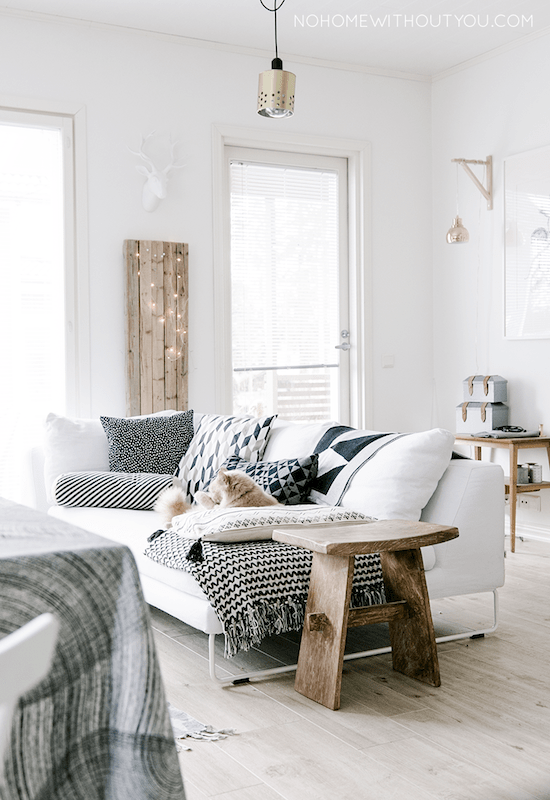 Modern and timeless, the above Finnish spaces follow many of the Scandinavian design principles-it’s light, cozy, neutral, and features plenty of clean lines. 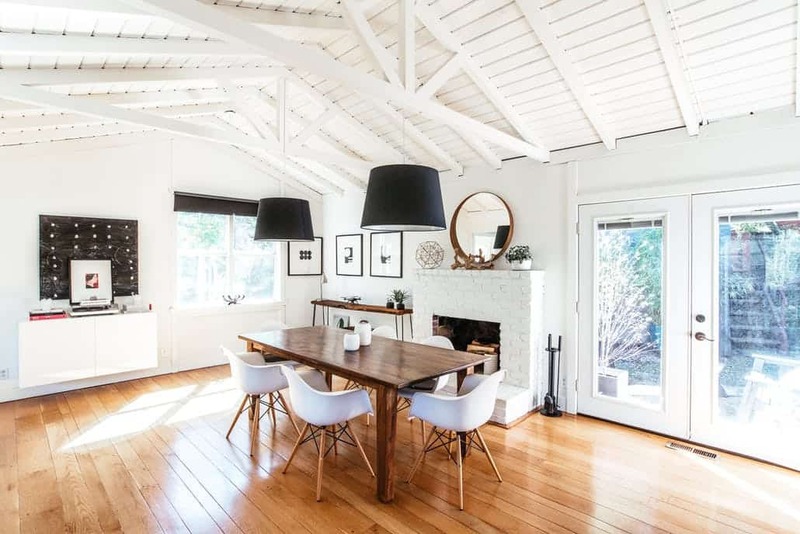 The above is a modern Scandinavian-style home in California. 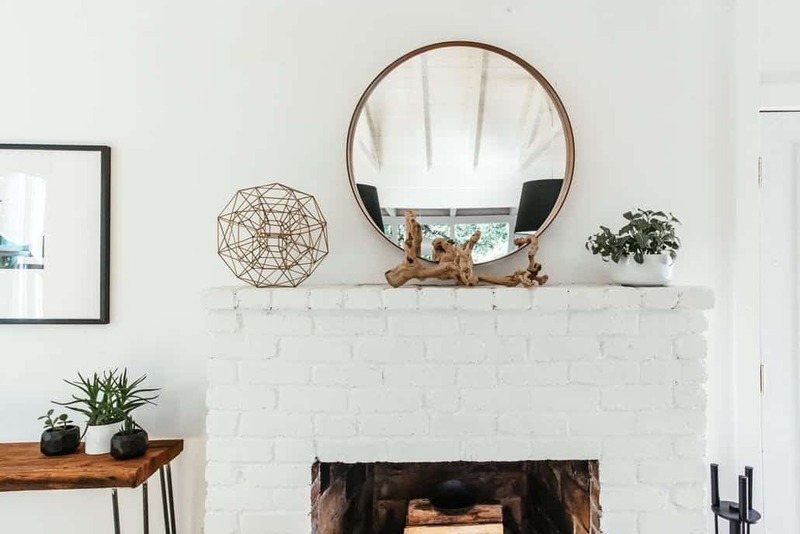 I love the open, bright, white spaces, and especially the mirror above the mantle (and the gorgeous driftwood, as well). The table in the entry was built by her husband, and adds functionality in what is often the busiest room of the home. The above spaces combine the best of both Canadian and Scandinavian home design. The owner wanted budget-friendly style, while incorporating the best of both influences. The result is a clean, modern, and functional living space! I especially love her pairing of white and wood decor. 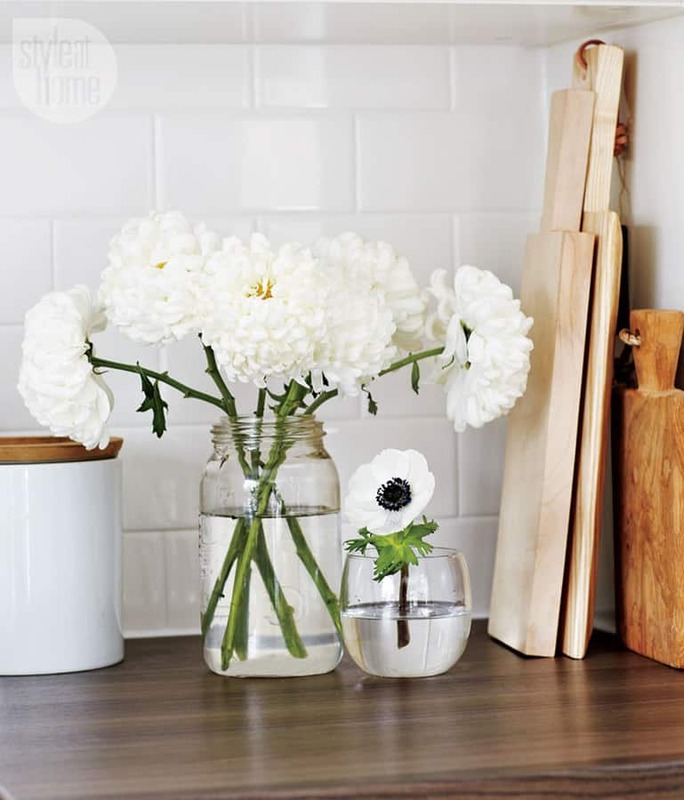 White and wood is such a timeless and lovely combination, especially in kitchen and bath areas. 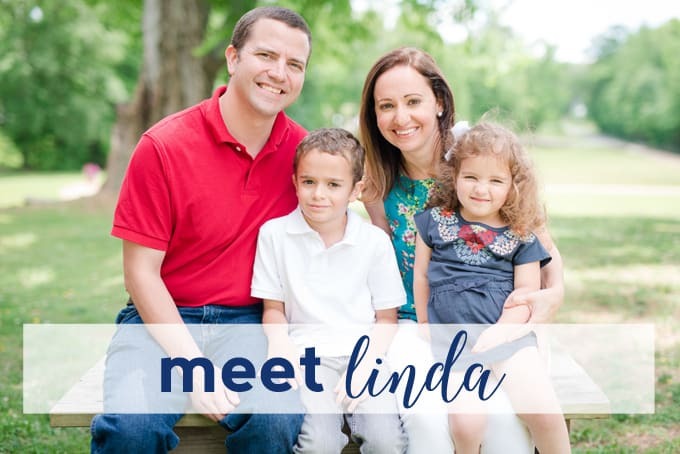 We share lots of different decor tips on this blog. This post has rustic decor and modern farmhouse style tips and tricks that may be more your style! In it, we share ideas to get that rustic charm into your own home, without spending a lot! 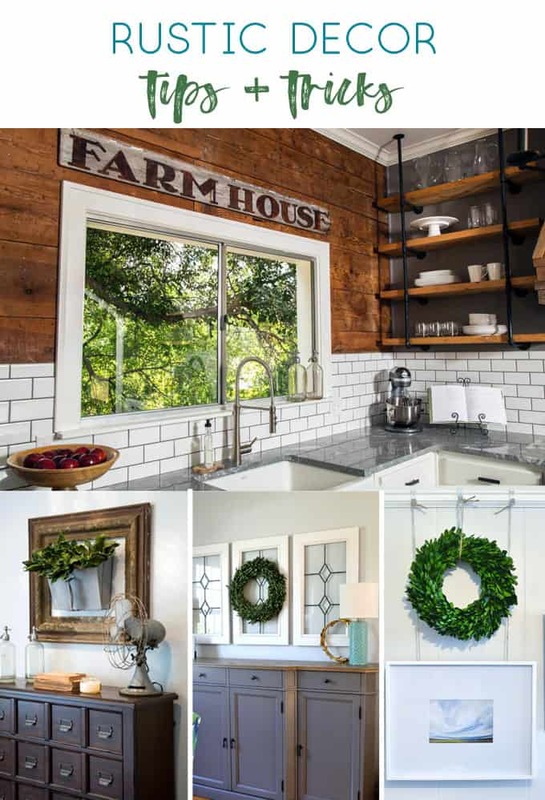 Lastly, browse these Fixer Upper rooms for a quick infusion of rustic, farmhouse, Joanna Gaines-influenced looks for all budgets! Thanks for reading all about my Scandinavian Design-How to Get the Cosy, On-Trend Look for Your Home. Have a lovely day!